PLS.trio - pianist Pier Luigi Salami, bassist Martin D Fowler, and drummer Shawn Crowder - lies somewhere in between Northern European jazz and American contemporary jazz, bringing forth a highly energetic and deeply melodious mixture of modern jazz and electronic elements. Tapping musical sophistication and tech savvy to lead their artistic toolkit, the group's focus on melody carries the listener along on a journey drawn from experiences of blazing through city streets and car horns of the trio’s native New York, all the way to landscapes reminiscent of sunny, mid-western countryside fields. 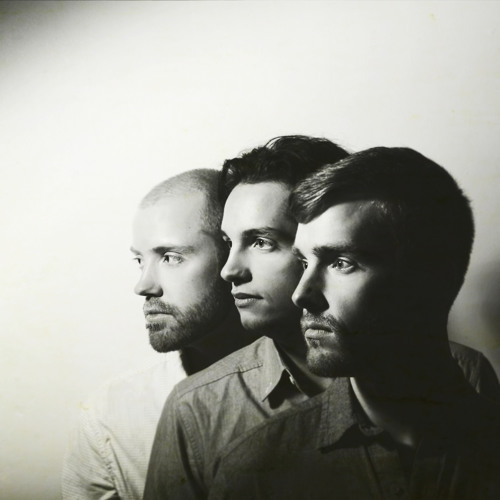 After the release of a self-titled EP in 2011, a European tour in 2012, and other performances around the world, the trio is geared to release their debut album East River in January 2015. With influences spanning from minimal and ambient music to hard-pumping dance music and bombastic rock styles, PLS.trio creates a blend which, while defying easy categorization, is compelling, distinctive, and oddly familiar. East River fully represents PLS.trio’s aesthetic mission—to redefine non-lyrical music to resonate with and speak to a wide variety of audiences, while preserving the narrative aspect of live improvised music.